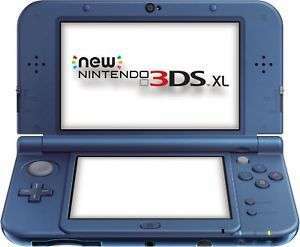 Metallic Blue New 3DS XL for £114.99 at Argos eBay. You can still get them in places, this is a decent price for a refurbished unit. Heat. Good price would have got if hadn't picked one up used already before Christmas. 12 month warranty gotta be a bonus. Should of just sent it back!!! Deal posting newbie! This is RainbowGazelle first deal post. Help out by leaving a posting tip or just to show your appreciation for their contribution.